Donna M. Bandelloni, Director of Gift Planning, California Pacific Medical Center Foundation Donna M. Bandelloni joined the California Pacific Medical Center Foundation in San Francisco as Director of Gift Planning in November 2013. California Pacific Medical Center is one of the largest private, not-for-profit, academic medical centers in California and is a Sutter Health affiliate. There she will lead the effort in creating legacies of support by working with donors and the professional advisor community. Prior to this role Donna spent almost the last seven years at Lucile Packard Foundation for Children’s Health. There she fundraised for the Lucile Packard Children’s Hospital and the Department of Pediatrics at the Stanford University School of Medicine. As Director, she led the Gift Planning program, creating hundreds of legacy gifts through her work with donors and their advisors. For over 20 years Donna has worked with planned giving programs from both sides of the fence: for profit and not for profit. She has worked with high net worth individuals and the philanthropies they support throughout the Bay Area. Prior to joining Packard, Donna was a Vice President and Senior Philanthropic Consultant for Mellon Bank, covering the Western United States for Institutional Trust and Investment Management Services supporting planned giving programs. From 2000-2002 She was the Director of Advisory Services for the San Francisco Foundation where she worked with professional advisors and their clients to foster philanthropic giving for the Community Foundation. Prior to this Ms. Bandelloni was recruited to help build philanthropic programs and services nationally with Merrill Lynch’s Trust Company in Princeton, NJ. As Senior Philanthropic Consultant for Merrill Lynch, Donna worked with Wealth Advisors and their clients to identify and implement a variety of philanthropic strategies to achieve their financial and charitable giving goals. In addition she worked with hundreds of nonprofit clients to establish and grow planned giving programs. Upon relocating from the East Coast in 1989, Donna joined Wells Fargo Bank as a Vice President and served in the Savings and Investment Group as a Retirement Specialist, as well as the Charitable Management Group where she offered investment management and trust services for planned giving programs to nonprofit clients statewide. Aviva Shiff Boedecker, JD, Senior Consultant, Sharpe Group Aviva Shiff Boedecker is a Senior Consultant with The Sharpe Group. In her 30 years as a gift planner she has served as Director of Gift Planning for the Marin Community Foundation, Director of Planned Giving at the University of California, Berkeley, and started San Francisco Ballet’s planned giving program. She was previously in the private practice of law. 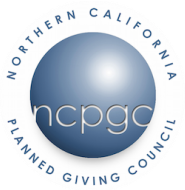 Aviva is a past President and, after a ten-year break, again a board member of the Northern California Planned Giving Council, has served on the board of the Partnership for Philanthropic Planning, and is a past President of the Marin County Estate Planning Council. She has been a member of Planned Giving Today’s Editorial Advisory Board, writes for many planned giving publications, and is a frequent lecturer on planned giving. Aviva has been involved with a variety of other non-profit and community organizations, and is a Big Sister for Big Brothers, Big Sisters. She is an alumna of the University of California, Berkeley and the University of California, Hastings College of the Law, and a member of the California Bar. Mical Brenzel, Member, Member, Gift Planning Committee, San Francisco Symphony Mical Atz Brenzel serves on the San Francisco Symphony’s Board of Governors-appointed Gift Planning Committee, as well as the Symphony’s Youth Orchestra Committee. She is also the President of the Mid-Peninsula League of the San Francisco Symphony, one of nine volunteer leagues operating under the auspices of the Symphony’s Volunteer Council. Mical serves on the boards of several other organizations in the San Francisco Bay Area. She is Chairman of the Board of $1.8 billion Technology Credit Union in San Jose, CA and has served on the credit union’s board since 1989. She is the Treasurer and Finance Committee Chair of Peninsula Volunteers, Inc., a $4 million nonprofit that serves over 3500 seniors and disabled adults in San Mateo County, CA. Four eight years she has had a leadership position in the Women’s Club of Saint Francis High School, and served for seven years as the Treasurer of Ragazzi Boys Chorus. Before retiring in 2006, Mical had a 30 year career in corporate treasury and finance, working in both the San Francisco Bay Area and New York City.